Don’t Miss These Features at the Show! In addition to the over 300 home and garden experts, here are the top 10 must-see features at this year’s show. 1. HGTV Star, Chip Wade. Headlining this year’s show is celebrity guest Chip Wade, co-host of HGTV’s newest show Wise Buys. Wise Buys features Wade and his realtor wife, Pauli, as they use their expert knowledge to help other couples learn the ins and outs of home buying and renovation. In addition to Wise Buys, Wade also hosts HGTV’s Elbow Room and often appears in the role of carpenter or contractor on HGTV shows such as Curb Appeal: The Block and Designed to Sell. 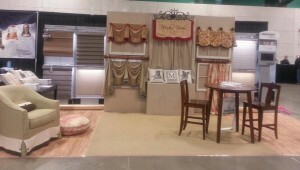 Wade will present The Art of the Amazing Space: Lessons Learned from 10 Years of TV Makeovers on Saturday, April 2 and Sunday, April 3 at 1:00 p.m. on Center Stage. Following each presentation, Wade will host a Meet and Greet session for fans to take pictures and get autographs. 2. TLC Reality Star, Whitney Way Thore. As a body-positive activist, Whitney Thore founded the famous “No Body Shame Campaign” to help men and women live their lives free of shame. Currently, she stars in the hit TLC reality show My Big Fat Fabulous Life, which showcases Whitney’s everyday life and journey to positive change. Whitney will appear on Center Stage Saturday, April 2 at 3pm to dish details on her life as a reality TV star and her “No Body Shame Campaign”. Whitney will also host a meet and greet session immediately following her stage presentation. 3. Bob Timberlake. Stop by and say hello to everyone’s favorite artist! Internationally acclaimed realist painter and designer, Bob Timberlake, will be at the show on Saturday, April 2 in the Earthstone Products exhibit. Learn more about Bob as an artist, designer and collector and bring your favorite Bob Timberlake piece for him to sign. 4. Gardens Galore. The Belgard Gardens will cover more than 6,000 square feet of elaborate, lush gardens right inside the coliseum. The Triad’s leading landscape professionals will help usher guests into spring by providing individualized advice and services, courtesy of Pond Professors, Inc., Green Valley Landscaping, Ayers Hardscapes and Landscapes, Case Outdoor Living and Landscaping and High Rock Land and Hardscape. 5. Designer Rooms. Fresh color schemes, ideas, and new ways to freshen up your décor-they’ll all be on display at the designer rooms showcase. Browse beautiful home styling from the Association of Interior Design Professionals of the Triad, including displays from Reanza Murray and Brittaney Henson from Designer’s Attic of NC, Molly McLean Design and students from Forsyth Technical Community College’s Interior Design Program. 6. $500 Shop the Show Giveaway. Register HERE to win a $500 shopping spree at this year’s show! 7. Local Artists Showcase. A show favorite, local Triad artists will exhibit their painting, sculpture, woodwork, pottery and hand-crafted items in the local arts showcase. Guests can shop and support local artists by taking home one-of-a-kind pieces fromLorrie Anderson, Simone Barbe, Anne R. Carter, Hilary Clement, Sandy Dunaway, Dale Edwards, Kimberly Edwards, Karen Furman, Hollis Gabriel, Bill Gramley, Debby Loflin, John Michael, Kay Rotberg, Mike Shinn, Charlotte Strom, Erik Strom, and Robert Wagner. 8. Designer Sample Sale. One of the hottest destinations for frugal fashionistas is always the Designer Sample Sale. Local designers contribute their overstock of “nice but didn’t quite work” purchases for guests to nab fabulous deals. 9. Balloon Garden. 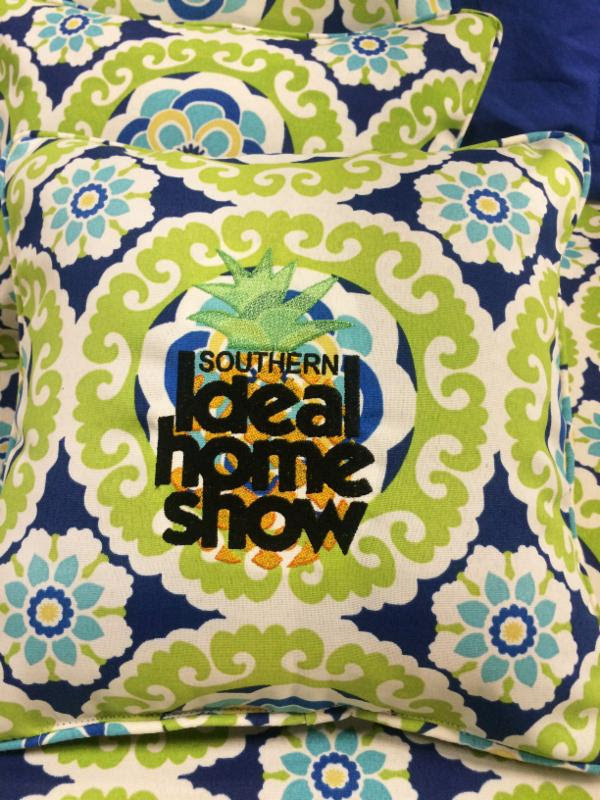 Carolina Balloons is partnering with the Southern Ideal Home Show to create a unique Balloon Garden at this year’s show. Take a walk through the 600 sq foot enchanted garden and become surrounded by life size flowers and plants made entirely from balloons. 10.Shop, Compare and Save. With more than 300 experts all under one roof, guests can shop, compare and save on home improvement products and projects. Many exhibitors offer show only specials for visitors.